Have you recently lost your teeth? The loss of a teeth may not seem so serious to some, but those who have a better understanding of what is truly at stake, knows that in order for them to enjoy the function and appearance of their smile, they need to replace whatever’s been lost with whatever option is available — either dentures or dental implants. Palm Bay patients who come to their dentists, will be presented with these options, and based on the information they need to make a sound decision about which way to go. Should you get dental implants or dentures? Palm Bay dentists will advise patients to study their options closely, in order make a good choice, and you really ought to do so, if you do not want to regret your choice. 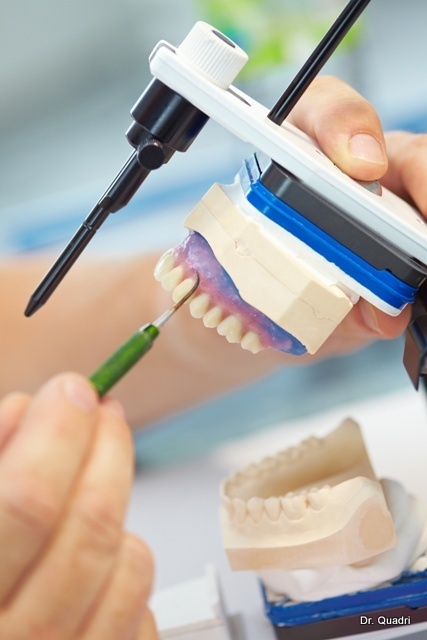 How different are dental implants from dentures? – Dentures are more immediate solutions to toothlessness. If you have lost a tooth or a few teeth and you require immediately replacement, you will need to explore removable dentures. Palm Bay dentists can fabricate dentures in just a few days, so you can have your smile and teeth back. Dental Implants require some waiting time for stabilization, and the process is quite lengthy. – Palm bay dental implants provides better stability. As soon as the implant system is allowed to stabilize within the jaw, it is able to support itself so that you can enjoy its function, as if you have gotten your old teeth back. It is not loose and will not be in danger of dislodging from your mouth during function, saving you from a lot of embarrassing moments. – Palm bay dentures are definitely more affordable. Dental implants use titanium, a very expensive metal and the equipment and material used are expensive, as well, explaining the cost. This is not going to be an issue with dentures. Palm Bay dentists can enjoy their dentures for a price so much more affordable compared to dental implants, which means they can have a brand new smile for less expense. – Dental implants preserve much of the bone. When a tooth is lost, the bone remodels to fill the socket and so resorption is to be expected. When dental implants are installed, much of the tooth is preserved because it immediately fills the space so very minimal resorption is experienced. The health of the bone and the health of the patient may be preserved well.